Ever since the day Apple Watch started shipping we have been waiting for its first hack. It seems like the wait is finally over as the talented iOS hacker Comex has shared a video in which he shows his Apple Watch running a web browser. Now if you own an Apple Watch or have used one then you would know that the device does not feature a built-in web browser and you cannot open websites on it. While Comex has not shared any details regarding how he managed to do it or whether he plans to release this hack for public, we are excited nevertheless and cannot help but think about the possibilities if Apple Watch is completely jailbroken like iOS devices. Comex tweeted the video along with the text “I always wanted a web browser on my wrist”, which makes us want to have a web browser on our wrists as well. Apple Watch SDK does not allow apps to run any native code on the device, which makes this hack so significant. 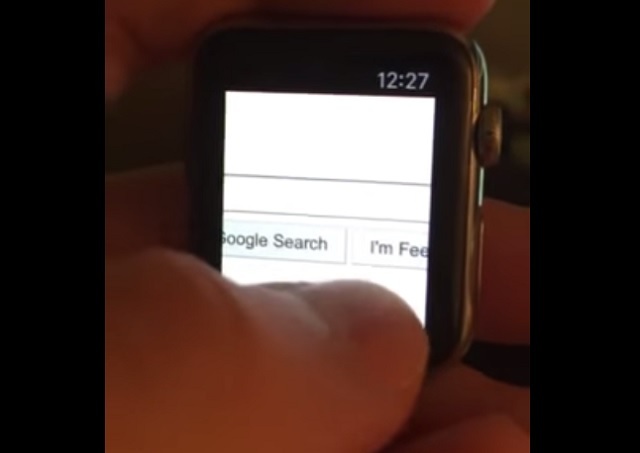 You can watch Comex’s web browser hack for Apple Watch in the video above. As you clearly see he has the Google.com opened on his Watch and is able to tap on the screen to move around. 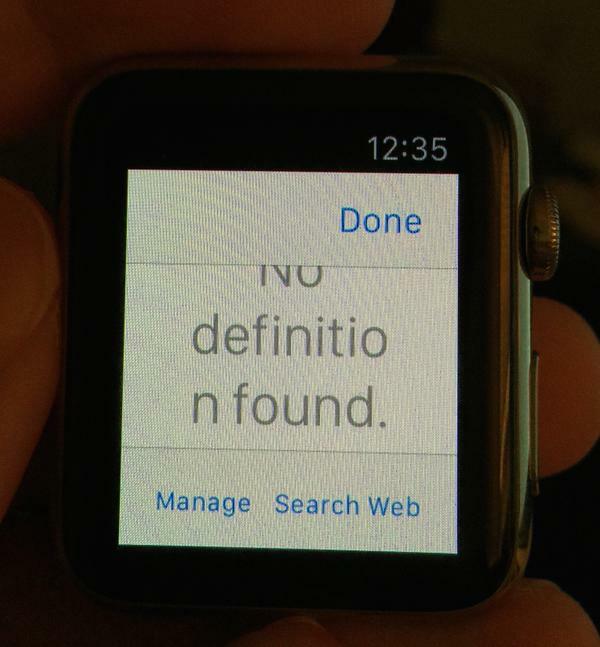 The hacker also shared screenshot, which appears to be showing iOS-like dictionary working on his Apple Watch. Without an on-screen keyboard, having a web browser wouldn’t be useful, however it would be great to be able to open linked web pages or use the dictation feature to enter URLs. We will share more about Apple Watch hacks in the future so stay tuned.